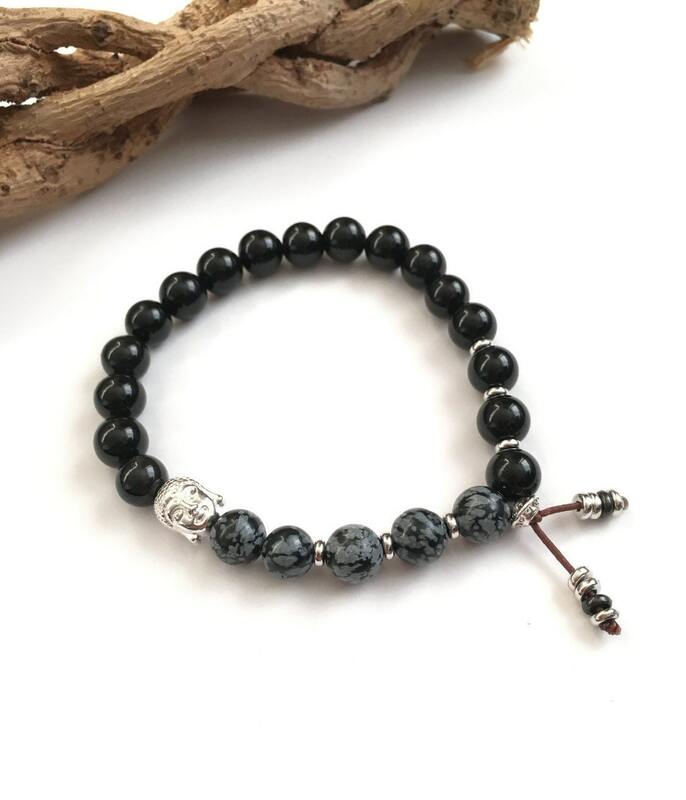 The Men's Positivity Mala Bracelet features Snowflake Obsidian and Black Obsidian with a reversible silver-tone Buddha head to alleviate pain and to offer powerful protection from negativity. 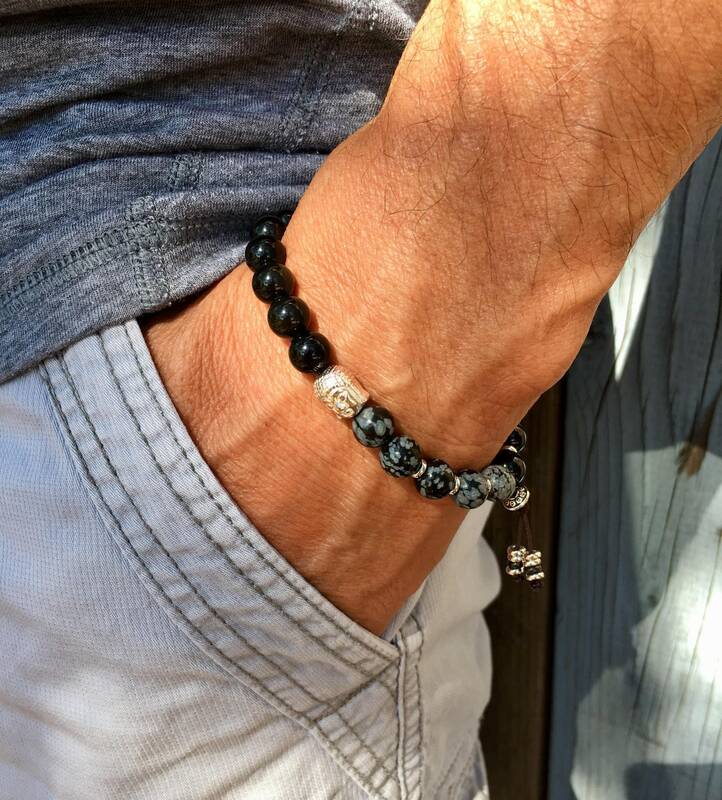 Wear this bracelet to give yourself a huge dose of confidence and a positive emotional outlook. Snowflake Obsidian and Black Obsidian are both naturally occurring volcanic glass crystals formed as extrusive igneous stones. Obsidian in general is extremely protective and can actually form a shield around the physical body to protect you against negativity. It blocks psychic attacks and absorbs negative energies from the environment. 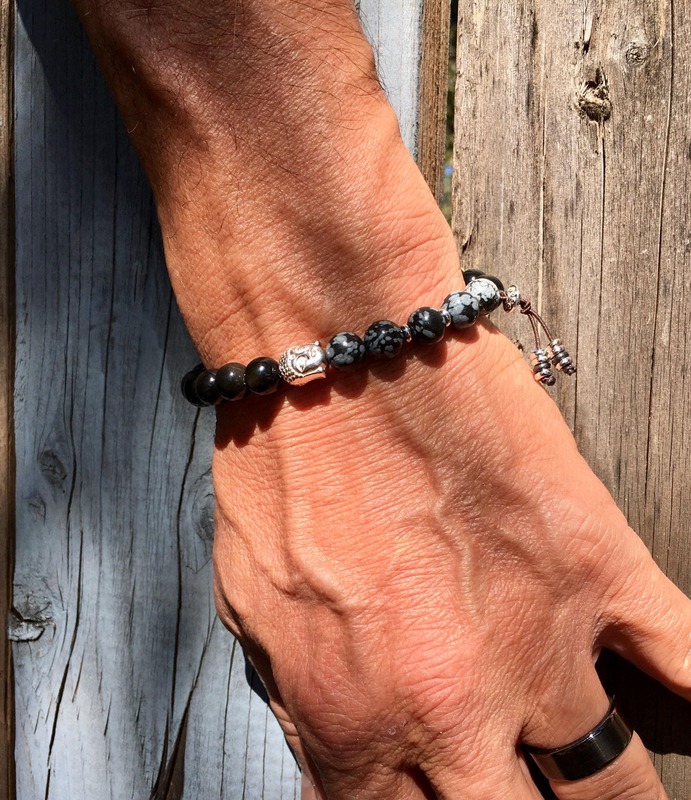 Obsidian draws out mental stress and tension, bringing clarity to the mind. It clears confusion, stimulates growth on all levels and encourages exploration of the unknown. It helps you to know who you truly are. Obsidian also dissolves emotional blockages and ancient traumas, thus promoting qualities of compassion, confidence and strength. 8mm natural crystals, strung on strong elastic stretch cord. One size fits most wrists. Custom sizing is available.